Thanks for the linky! 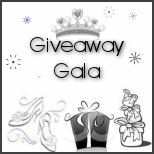 I've added your site to my giveaway linkups list. I'd love for you to add your giveaways to Frugal Follies as well!